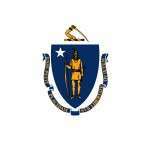 Massachusetts Poker - Is Online Poker Legal in MA? Massachusetts has talked about legalizing gambling and building brick and mortar businesses to increase revenue. They even tried to pass a couple gambling laws – but failed. Things are looking better than ever now, though. It looks like they’re in the final stages of applications for their brick and mortar casinos. And experts think we’ll see regulated online poker in the next few years. For now, though? You’re kind of screwed. Right now the state’s laws say nothing about online poker. So, you have to turn to and interpret what laws they do have. It does look like there might be a loophole since you’ll be playing in a private place that belongs to you. That said; most things that aren’t permitted by law are usually considered illegal. One other thing – it does sound like Massachusetts is thinking about online poker. But from the reports I’ve read, it doesn’t look like they’ll pull the trigger on it (if at all) until they build their brick and mortar casinos. And this can take up to 3 years – maybe longer. You can’t play live (casino) poker now. Massachusetts doesn’t have any casinos. But it sounds like they’ve been working on it. A story from January 2015 said that there are 4 groups interested in a Massachusetts gaming license. That includes KG Urban Enterprises, Mass Gaming & Entertainment, Seafan Trust Corp. and Somerset on the Move. All applicants will have to pay an $85 million licensing fee and a $400,000 application fee. All applications will need to be turned in by the end of the month. We’ll soon see what happens. It sounds like at least 3 of them will be building resorts. One will be a slot parlor. Nothing much has been said about poker, though. But assuming there will be table games, I see no reason why poker won’t be included. For now you’ll have to go out of state… or take your chance playing at home. …and whoever sets up or permits such a game shall be punished by a fine of not less than fifty nor more than one hundred dollars or by imprisonment for not less than three nor more than twelve months. Now, it looks like that only applies to the person hosting the game. But I’m guessing the bit that comes before covers the players. So, in my opinion – home poker games are illegal. Of course, if you don’t rake the pot and keep your games quiet, the odds of your game being raided are slim to none. Most states aren’t active about it. Another option is to contact your lawyer or local authorities and double check with them. That would be the safest way to ensure your door is busted down and SWAT doesn’t come flying in your windows to take down your illegal penny-ante game. What do we think the future holds for Massachusetts? It doesn’t look half bad. We expect to see live poker in the state within the next couple of years. And from what I see and hear it sounds like online poker will be regulated within the next year or two, or if after brick and mortar gaming takes off, then 2-4 years. Expect to see some form of legislation in 2016-2018.